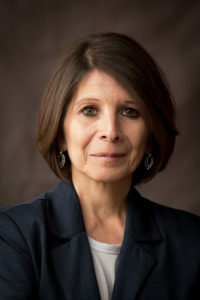 Vice-President of Membership: Lorraine Maiella . Lorraine Maiella, VP Membership, is an El Paso native who has been involved with Junior League of El Paso, Inc. for eight wonderful years. She is currently a math and science teacher at St. Mark’s Middle School. Since joining Junior League, Lorraine has enjoyed a variety of placements from working with Christmas Fair hospitality, the Provisional committee, Community Research, TED, Executive Assistant, the Nominating committee, Placement Chair, and the Think Tank committee. She has enjoyed serving in every placement and has enjoyed interacting with all members. Her most memorable experience in Junior League of El Paso, Inc. has been working on member education and training. She has been married to her husband, Mike, for 24 years and has raised 3 wonderful children, Alexis, Emily and Michael. She enjoys running in many marathons, spending time with family and volunteering in many local organizations.